Cary, NC – One of the least talked-about cancers is also one of the most common. 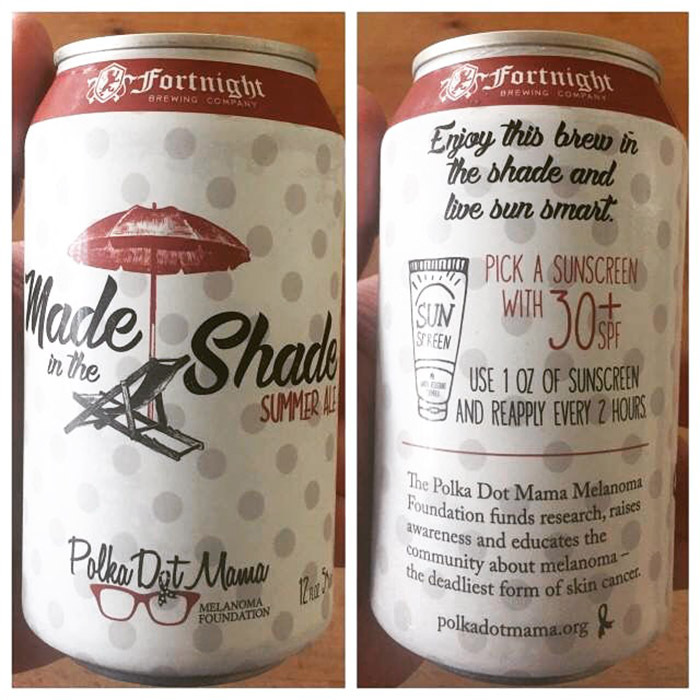 But a partnership between Fortnight Brewing and The Polka Dot Mama Melanoma Foundation (PDMMF) is bringing skin cancer to the forefront with a new beer. Fortnight Brewing, located on SW Maynard Road, recently released its new “Made in the Shade” beer, with proceeds from cans going to PDMMF. Tracy Callahan, founder and CEO of the foundation, said the partnership began when Stuart Arnold, president and CEO of Fortnight, approached her after one of the group’s events. “Stu reached out to me and said he felt an overwhelming sense of community coming together from our event,” Callahan said. Then Arnold, whom Callahan described as a “community hero,” proposed making a new beer with PDMMF’s message printed on the can. “It has advice such as wearing 30 SPF sunblock, reapply it every two hours and a link to our website,” Callahan said. To promote the new beer and partnership, Fortnight is hosting “No Fry Friday” on Friday, May 26, 2017 from 5 to 9 PM. The PDMMF has partnered with food and beer before to talk about their message, most recently their chili cook-off. Callahan said new approaches are necessary to talk about the subject matter. Instead of taking a lecturing tone, Callahan said events such as “No Fry Friday” can get more new people to hear their message about skin cancer prevention. “We have our gala every year and that pulls at the heart strings more but we have more opportunities to talk to people too,” she said. 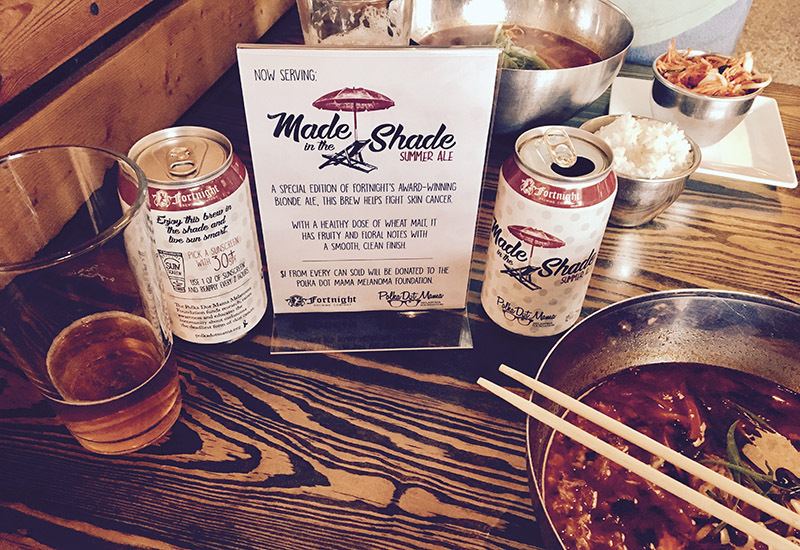 While the big event for “Made in the Shade” is May 26, the beer is already on sale, in 12 restaurants across Cary. “It’s gaining more popularity than we expected,” she said. And with the “No Fry Friday” event, Callahan said they will also unveil a new tool for the foundation with a school bus they now have. “It is refitted and remodeled and will go around down, doing skin tests and giving sunblock and sharing information,” she said. The bus was donated by a family who lost a daughter to melanoma. Fortnight Brewing is located at 1006 SW Maynard Rd. Story by Michael Papich. Photos courtesy of Tracy Callahan.